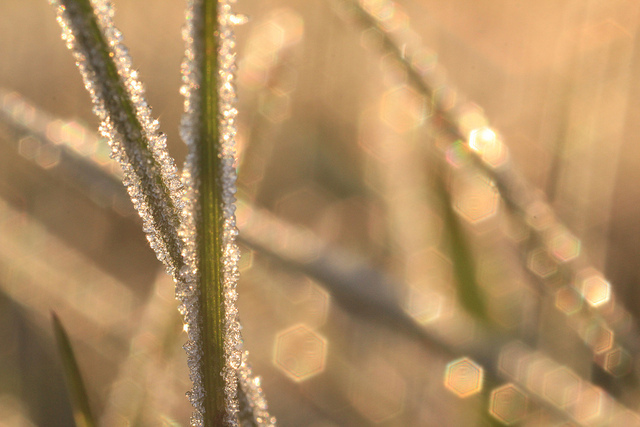 Dew still forms in the winter, or when temperatures lower enough, in its icy form – we know it as frost. 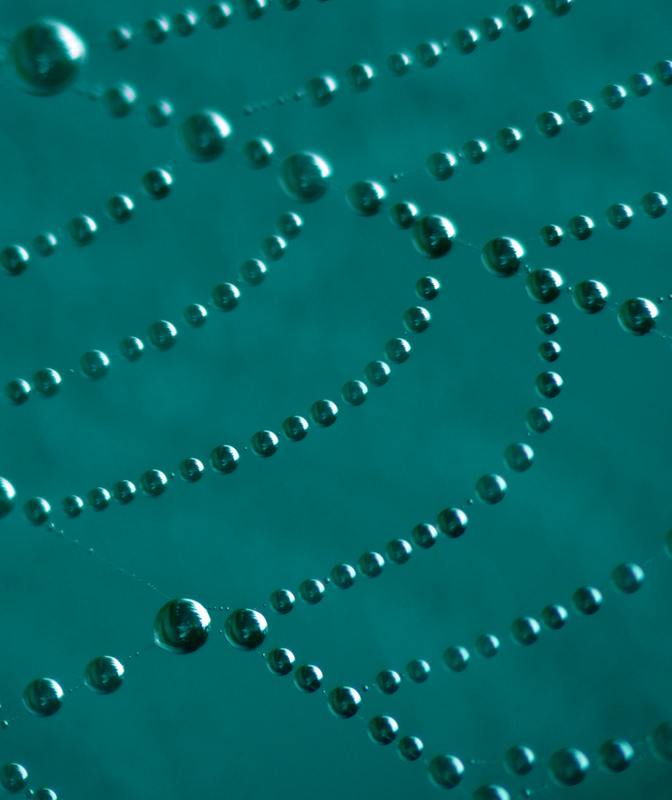 The formation of dew is intimately related to the temperature of the surfaces on which it will form. 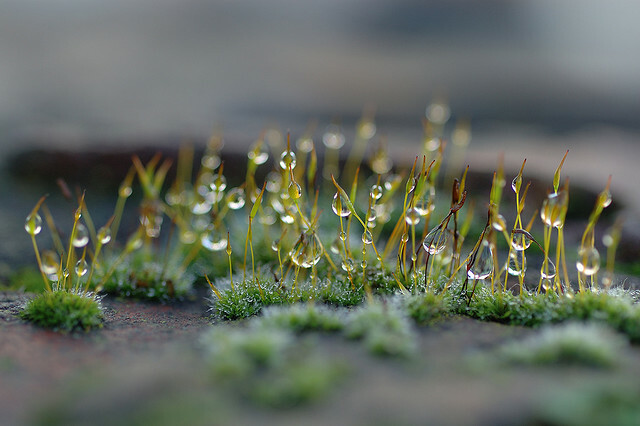 Surfaces which are not warmed from deep ground heat, such as leaves and railings are therefore more susceptible to the formation of dew. 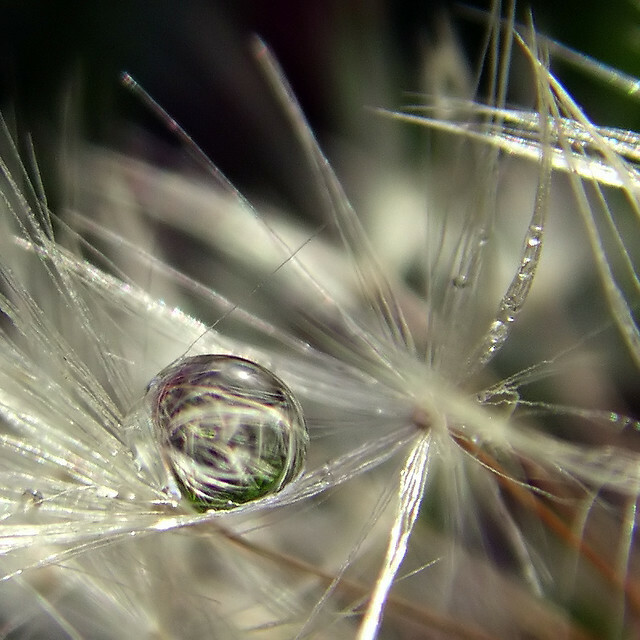 The above shows a few pieces of grass. 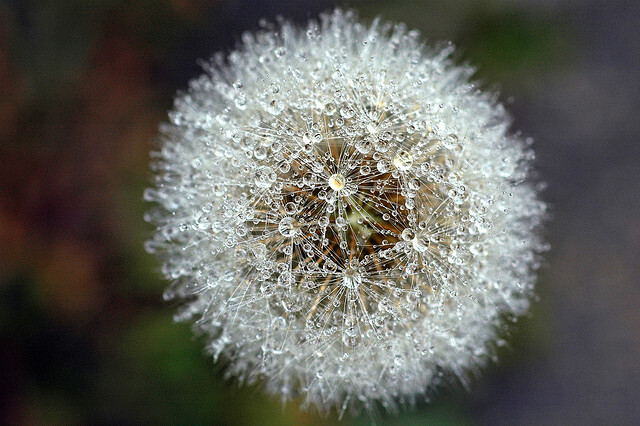 The water formed on it is most likely not dew, but guttation. 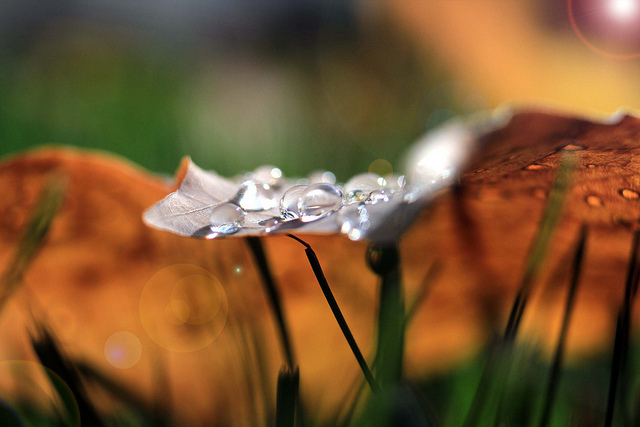 This occurs when the leaves of plants transpire any additional water in to the atmosphere. 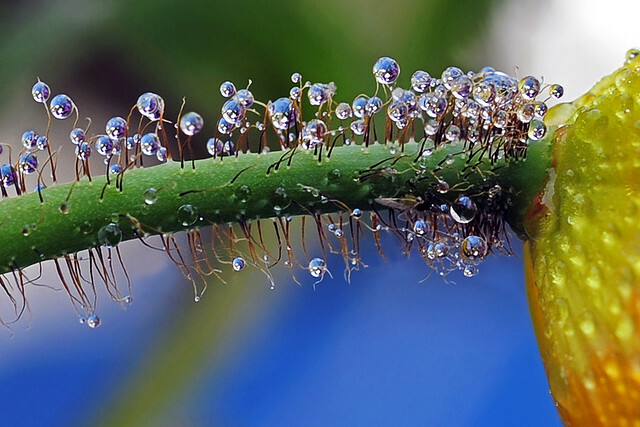 Many people mistake guttation with dew. 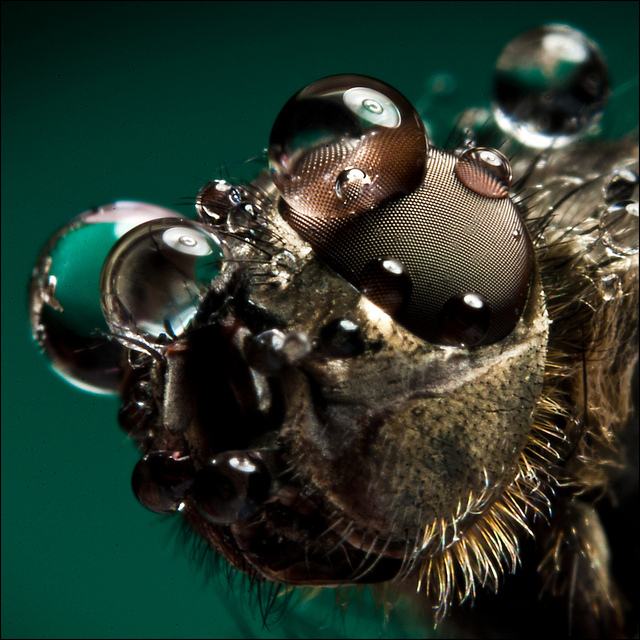 The surface tension of water is such that small creatures, can become the unwitting depository for the morning's dew drops. 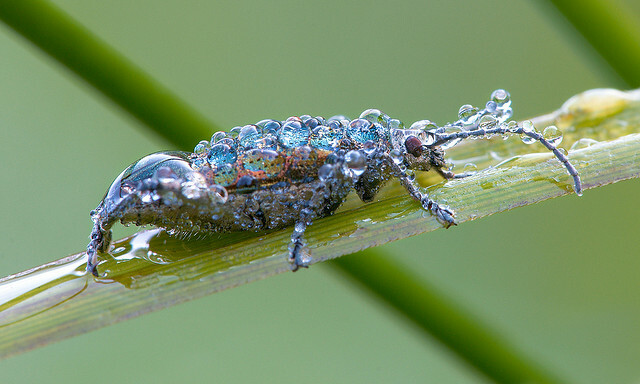 The morning dew can be a welcome source of water to the smaller denizens of our planet. 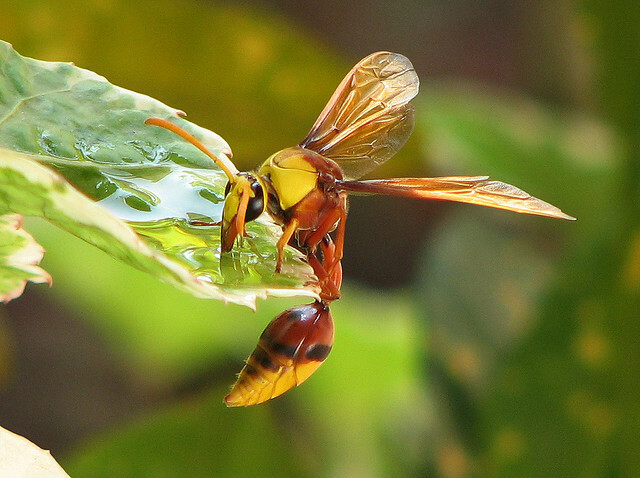 Here a Yellow Potter Wasp takes its morning drink. 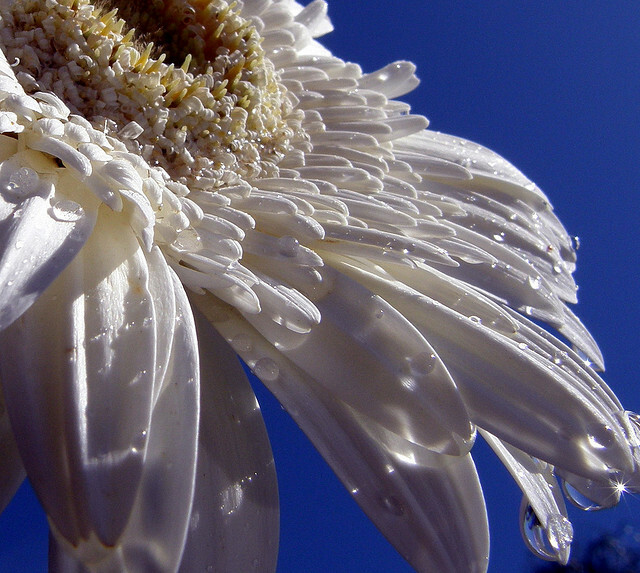 In desert areas the plants as well as the insects may rely on the dew to sustain themselves. 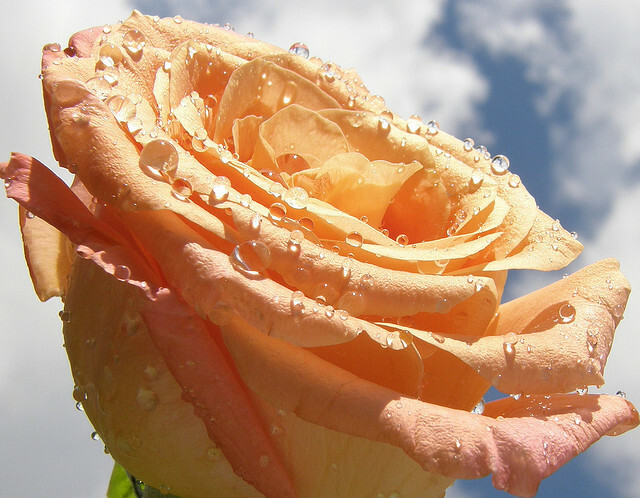 Guttation can also be caused by root pressure as transpiration does not occur in the evening. Special leaf tips called hydathodes are used to push water from the plant. 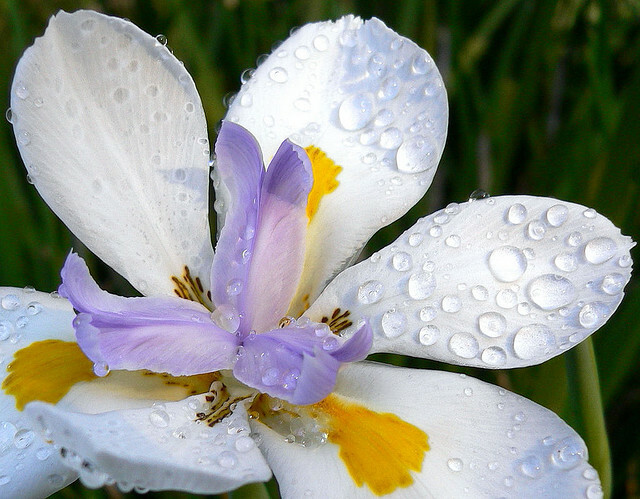 This forms the drops you can see in the beautiful picture above. 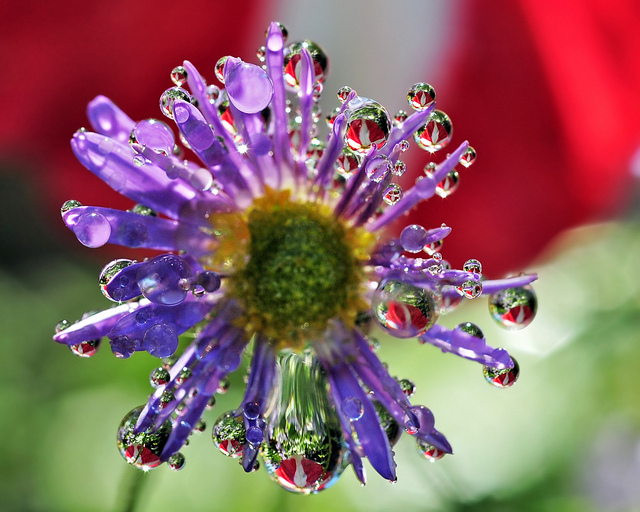 Water condenses in to droplets very much depending on the surface temperature of objects. This is known as the ‘Dew Point’. 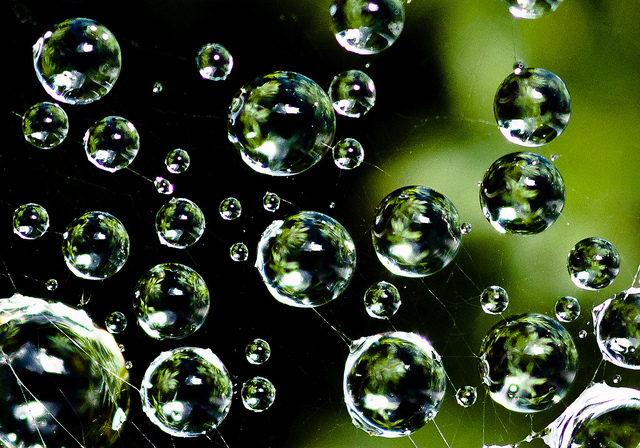 In this way dew is different to clouds or fog. 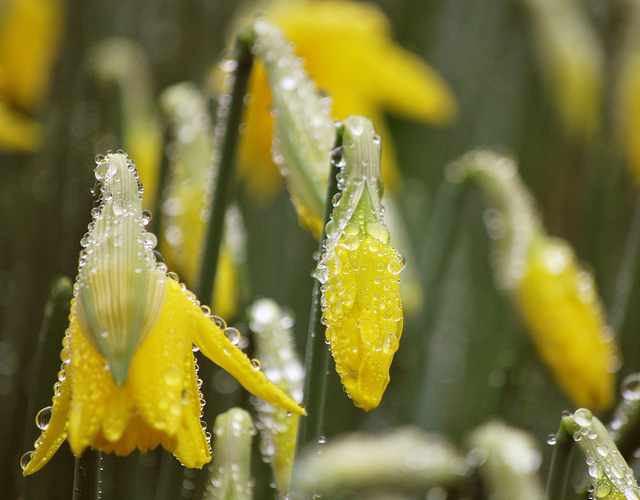 These are formed in the air meteorologically (and are known as hydrometeors). In these cases the atmosphere is saturated by water which condenses. It then falls out of the gaseous solution that makes up the atmosphere. This is known as precipitation. 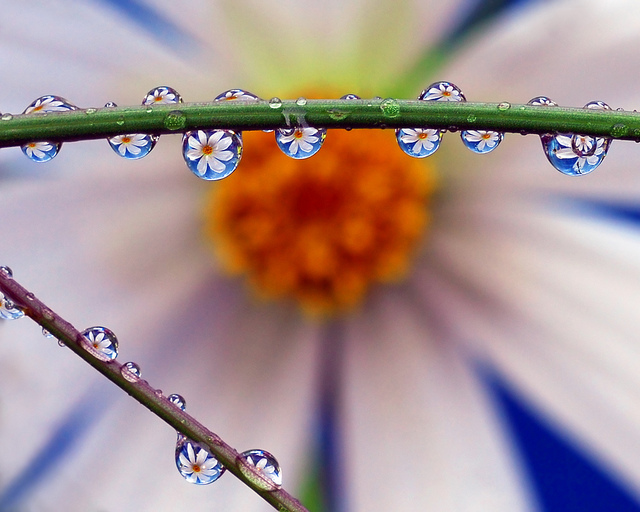 The principles of the formation of dew and hydrometeors are almost identical, however. 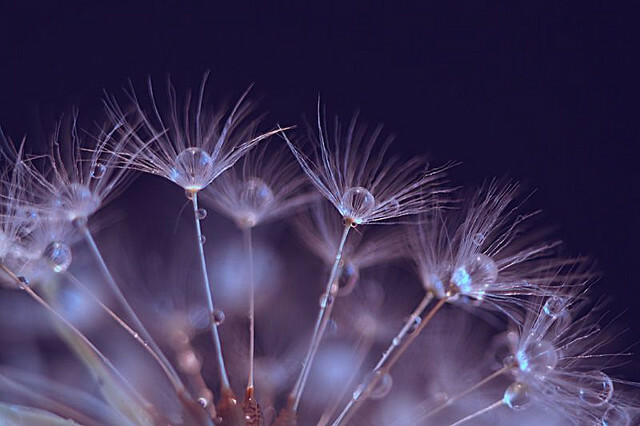 The most likely time that dew will form is when there are not many clouds in the sky. 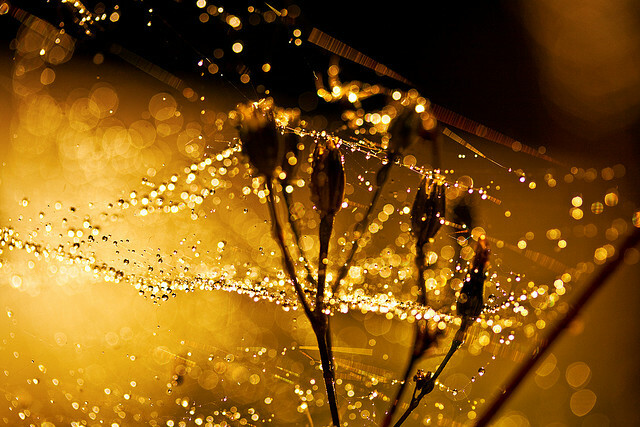 As the moon can then be seen the night before dew appears it has become connected with the phenomena in many folk histories. 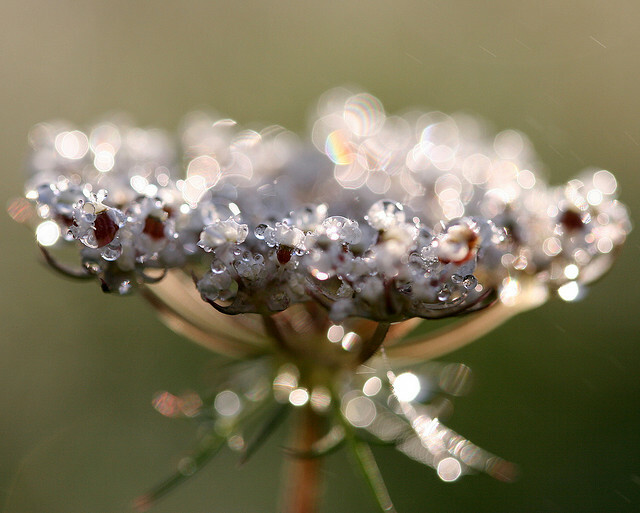 Even today, many associate dew with fairies having been playing in the garden during the night. 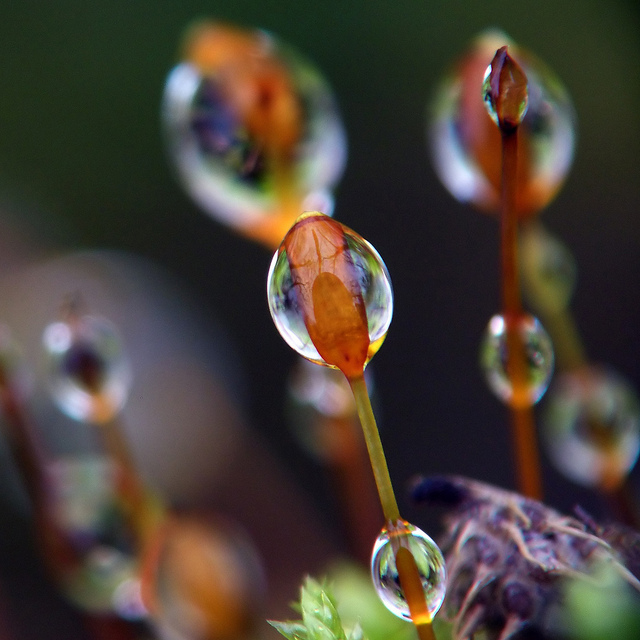 Most parts of the world do not have climates where the amount of dew produced can possibly compete with the amount of rain. 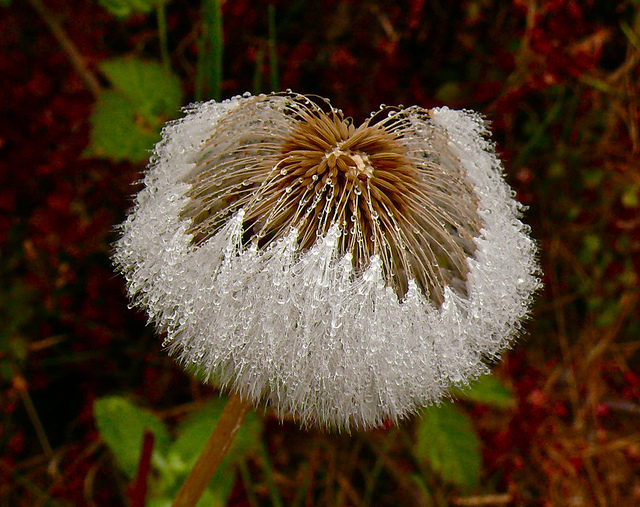 In some places with long dry seasons some plants have adapted so they can make the most from the dew fall. These include pine seedlings and some lichens. 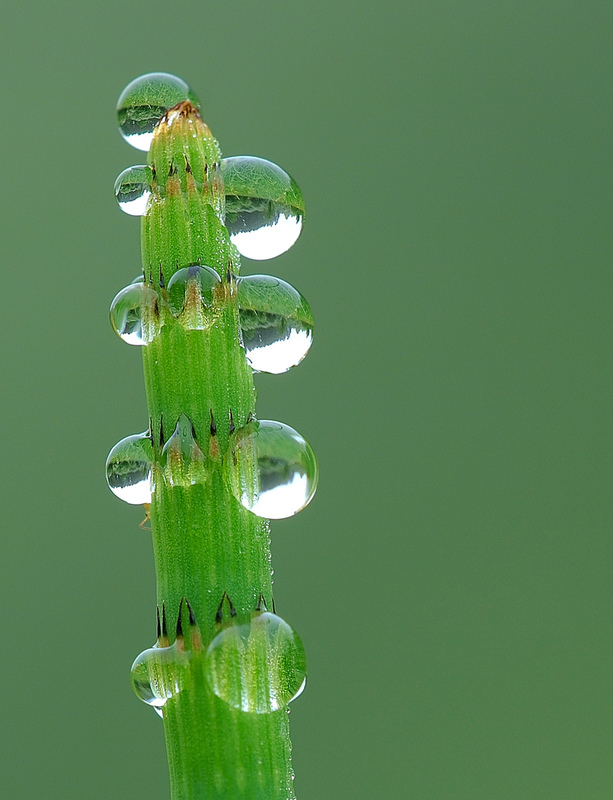 Dew is overwhelmingly thought of as a benefit to the environment. Yet there is a downside. 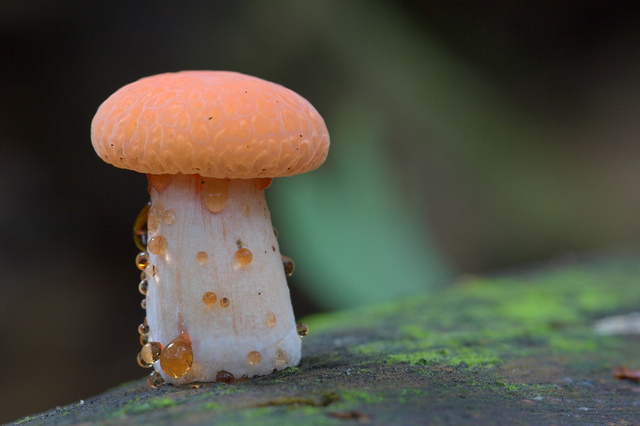 It is known to be a good habitat for some fungi. The Phythopthora infestans fungus, for example, which is present in dew can infect and eventually destroy potato plants. 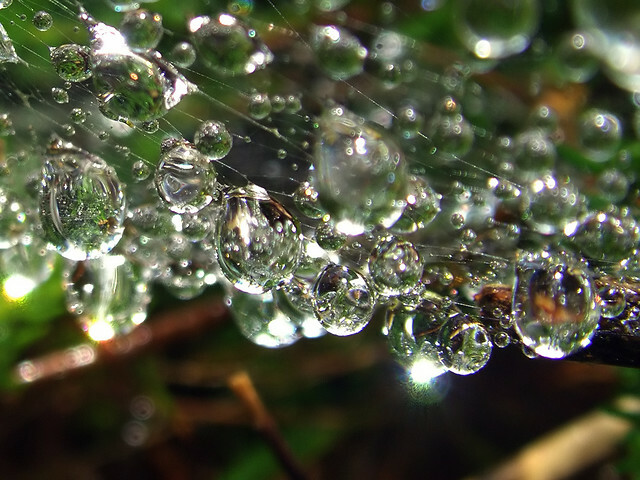 As already mentioned, dew features in folklore around the world. The legends of Polynesia include one the moon seduces oysters on the sea bed by shining his light on to the ocean. 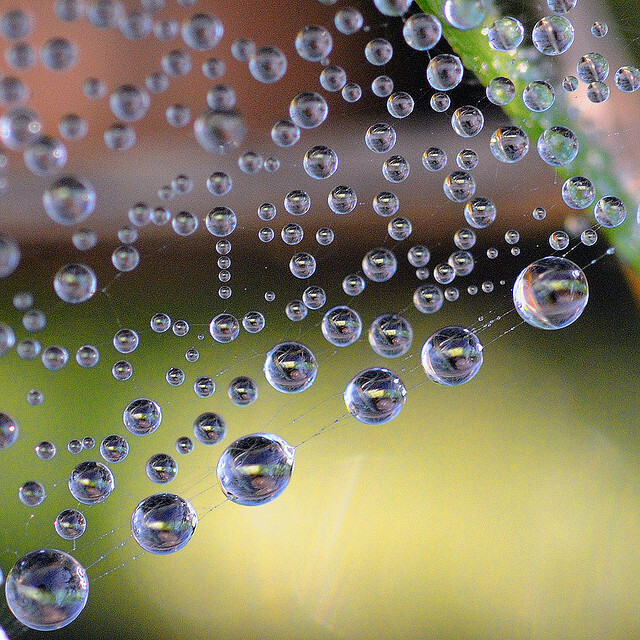 He lets fall dew drops from the night sky and these impregnate the oysters and become pearls. With pictures such as the one above, who could argue with the ancient Polynesians? 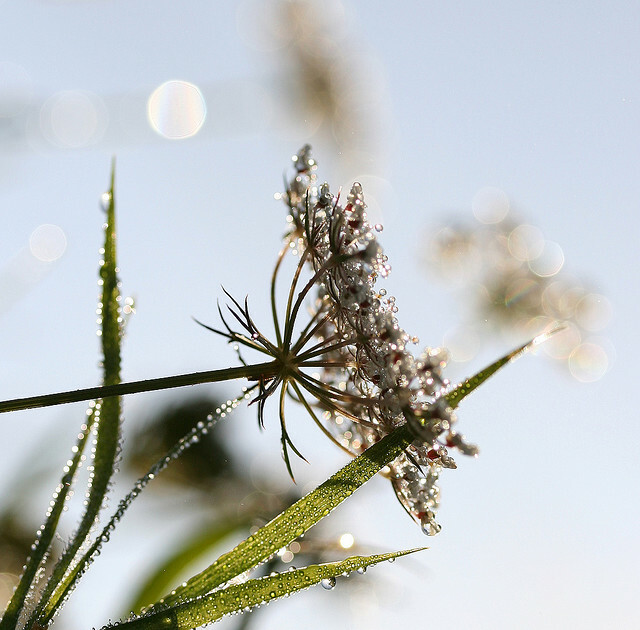 Irish legend has it that you should go out on Beltane morning and gather up dew in a bowl. If the dew is used to wash your face with you will have a perfect complexion by the next day. Don’t put the alarm clock on for an unearthly hour tomorrow – there is no medical evidence to back this up! 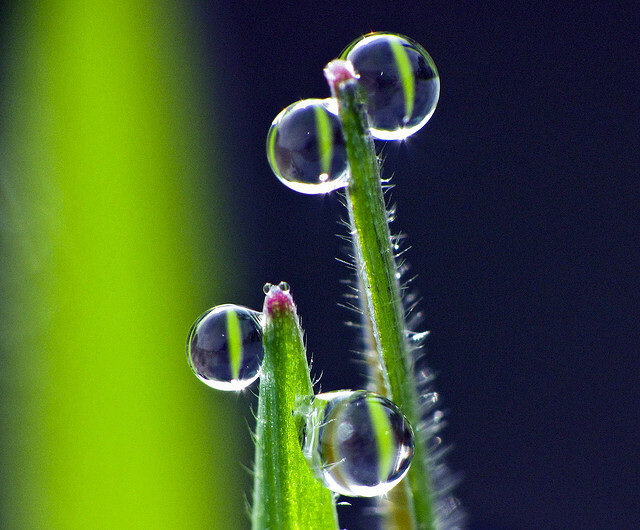 Dew was also used in ritual, particularly those relating to the moon. 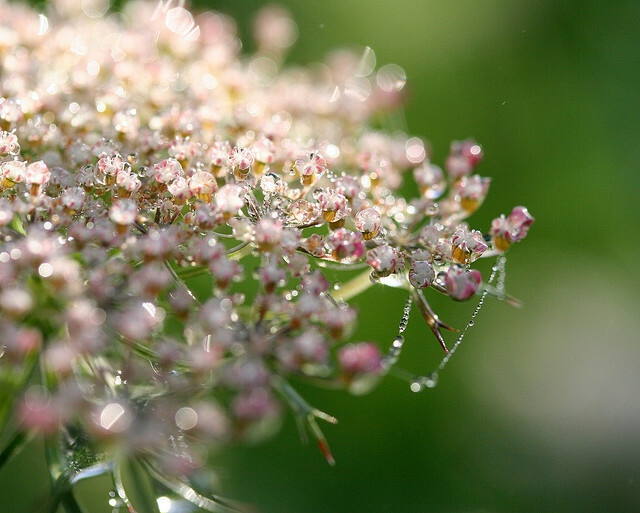 In Greek mythology, Ersa is the goddess of Dew. She is the daughter of Zeus and Eos, the goddess of the dawn. Eos would rise each morning to greet Helios, the god of the sun. She would open the gates of heaven for him so he could ride across the sky. 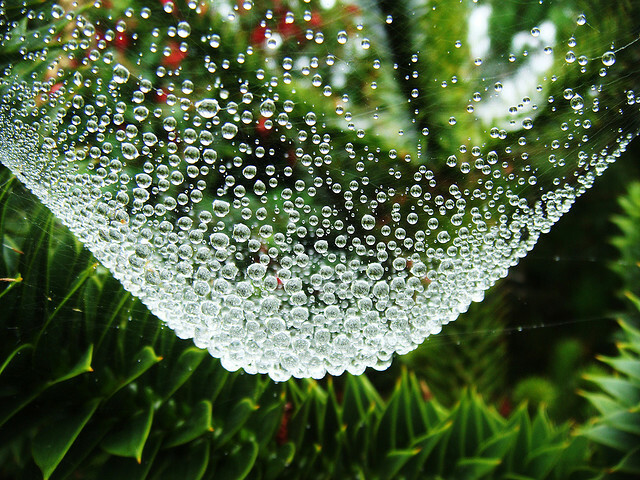 There is no large scale commercial dew harvesting systems in the world as it is considered a resource too scarce and difficult to collect to be worthwhile. However, ideas are changing. One harvesting system in Kutch, India collects dew through condensers that harvest up two hundred liters each evening. This is only for the ninety nights a year that the dew season lasts there, however.